Our facility design was centered on the need to house immunocompromised animals and specialized models. It incorporates a surgical suite, gowning room, and holding rooms. In order to ensure an environment of utmost sterility, while also minimizing the workload by negating dependency on cage-wash infrastructure, Disposable Caging Systems are used at our animal facility. This allows for more investment of time and energy into scientific endeavors. 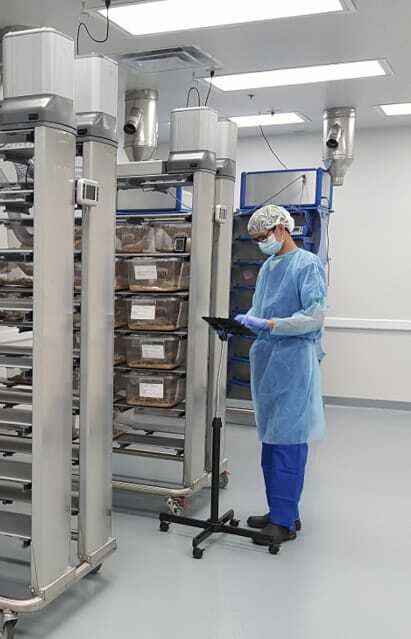 Innovive, Inc. provides high-performance Individually Ventilated Cage (IVC) racks with a closed-loop recycling, and bedding-composting system for our facility to be environmentally sound and proactive. With less water, detergent, energy use, reduced maintenance space-use, and the reducing of ergonomic risks; the Innovive Innorack® and Innocage® are utilized at our company. Dosing by multiple routes including i.p., oral and i.v. In 2015, Hera BioLabs assembled its core team and began developing new genetically modified models for the modern industry. 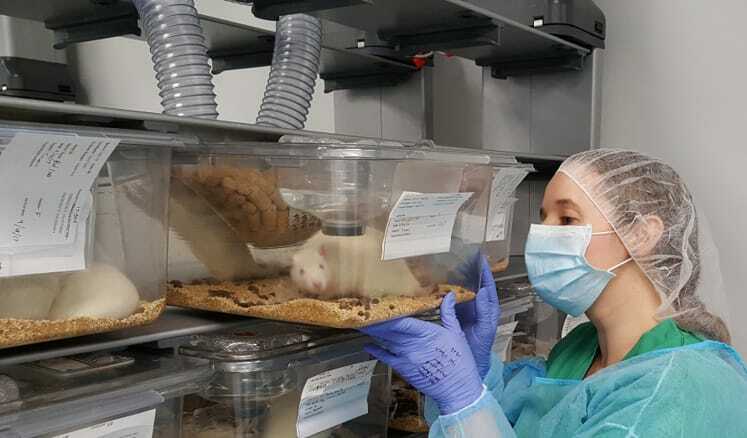 In early 2016, Hera relocated our laboratory and animals into a newly built independent facility in Lexington, KY. Now, with our newly commissioned vivarium Hera BioLabs is offering Precision Toxicology™ & Efficacy Services: utilizing precisely gene-edited models such as SCID rats, humanized rodents and engineered cell lines for producing more rapid, consistent, and clinically-relevant data. Hera BioLabs is dedicated to ensuring the integrity of its science. For this purpose, Hera has obtained an OLAW-approved Animal Welfare Assurance from the NIH Public Health Service (PHS) Policy on Humane Care and Use of Laboratory Animals (PHS Assurance). We are approaching accreditation with AAALAC (Association for Assessment and Accreditation of Laboratory Animal Care) at our new facility in Lexington, KY.
Hera BioLabs is also dedicated to acquiring national certifications and official licenses for our employees; to further facilitate comprehensive scientific teams. Hera holds membership and training programs with NIH (National Institute of Health), the University of Kentucky’s DLAR (Division of Laboratory Animal Resources), and AALAS (American Association of Laboratory Animal Science). Hera collaborates with these institutions and more to assist our technicians in acquiring the highest expertise possible. 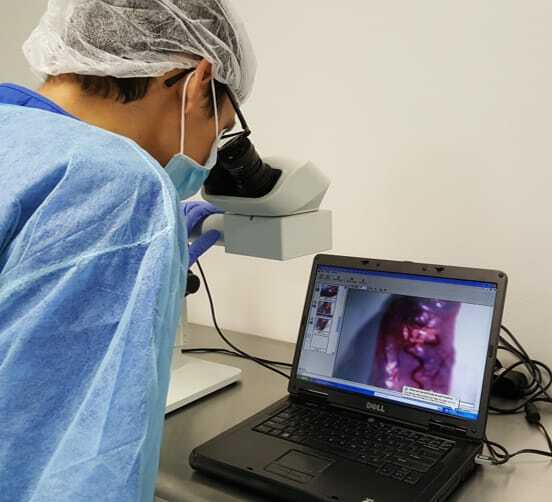 The goals of our mission are further ensured with Hera’s commitment for attaining proficiency in the most modern techniques for genetic engineering and animal health, in order to provide high quality models and services.